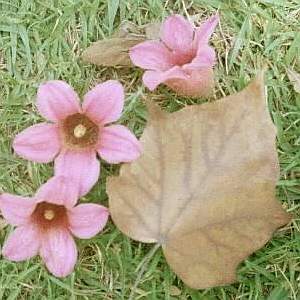 Comments: Broadleaf monsoon deciduous tree native to Australia. Mature trees to 40' with trunk buldging at the base. Specimen tree has pink flowers. 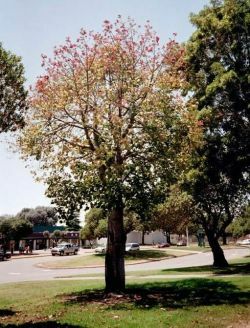 Similar to B. acerifolius (Australian Flame Tree) which has scarlet red flowers.